Get the Latest version of Jazz Jackrabbit 2+ to have the best Jazz Jackrabbit 2 experience! Works fine for The Secret Files aswell! This year two members of the Mystic Legends team has been nominated for the annual JCS Awards 2015. Best tileset of 2015 with "Organic". Earlier this year she won the mini tileset contest with "Organic". You can vote and read about the other nominated people on "JJCF now!" Our own cooba has released his first level under the Mystic Legends banner! Sacrosanct is a brand new CTF level, which requires Jazz Jackrabbit 2 plus. Also the Mystic Legends team combined their forces, skulg has released a new tileset, ShadowGPW worked on the level layout and cooba added additional niftyness to the level. It has been specially designed for the treylina's small tileset competition. Organic tileset with a Brain Tumor on Jazz 2 online now! I have released a level specially designed for the 1on1/2on2 JDF ODT event. The best maps will feature in their ODT event. Murder of Crows is medium sized classic battle map and build on the Diamondus 1 tileset. Download "Murder of Crows" on Jazz2Online now! After 5 years Mystic Legends FINALLY releases a new levels! These levels are especially made for the JDC contest, it would be uber cool to see these levels being featured during this event. Download "War of the Bunnies for Life!" on Jazz2Online now! From today, cooba joins the ranks of Mystic Legends as a tileset & level builder. I think his levels are fantastic and is a well liked figure in the world of Jazz Jackrabbit. Has a vast knowledge in competitive Jazz Jackrabbit gaming.. so yeah, he's the perfect man to join ML. Any actual projects going on? Anything that Mystic Legends does except for being idle? A few new battle levels, JDC motivated us to actually touch JCS and construct some levels & tilesets. 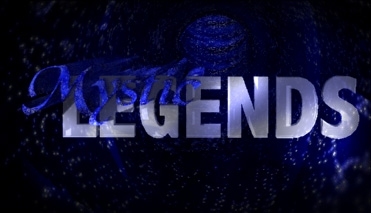 We are glad to report that we are now reachable on MysticLegends.org. So we are now finally easy reachable and stable on one location. Cool huh? Also we like to report that our beta program is up, you can now signup at Shadow(a)mysticlegends.org (Till 13 Jan 07) for our latest projects. We proudly announce that Manu "Pyromanus" has joined the Mystic Legends team. His levels are from a superb quality and we think he is the perfect man to be in our team. For the first time in years we release a new level pack. It's a remake of the old Street Wars pack for The Secret Files! You can download it from Jazz2Online or from our Downloads page. Enjoy! The German tileset builder Skulg has been added to the Mystic Legends team. Reason is she has a great reputation as a Tileset builder (with an average of a 7,9 at J2O). We thought she was the perfect solution after Dethman's depature in JJ2. Shadow: How do you feel to be part of Mystic Legends now? Shadow: What can people expect from you soon? Shadow: Thank you for this short interview Skulg. Any shoutouts to give? As a kick-off of her membership, we started working on a lost project. More info about this project later. You've missed it (or not) but the Mystic Legends website is back online ! Now even with the updated levels and release the past few years on the Jazz Jackrabbit 2 scene. The reason that it was down because Jeh's host is gone and Jeh is gone from the net. But I still had the original files and website from the Mystic Legends. You might notice the tab "info" at some levels. It's a small word about the Authors with how their level came and how they made it.